On November 21th, the Institute of Electrical and Electronics Engineers (IEEE) announced that Professor Choi Se-wan of the Electrical Information and Engineering Department of SeoulTech (President Kim Jong Ho) was named an IEEE fellow. With more than 400,000 members, the IEEE is the world's largest academic association in the field of electrical engineering, electronics, and computer science. The association confers IEEE fellow status to fewer than 0.1% of its members for their accomplishments in outstanding research and development achievements. Professor Choi was selected as an IEEE fellow for his research on the topology and control technologies of power converters, and his contributions to the industrialization of renewable energy. Professor Choi received a Ph.D. in electrical engineering from Texas A&M University. He has been a professor of electrical engineering at SeoulTech since 1997 and also the vice president of the Power Electronics Academic Society. 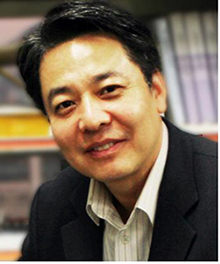 Furthermore, Professor Choi serves as an editor of the journals IEEE Transactions on Power Electronics and The IEEE Journal of Emerging and Selected Topics on Power Electronics. Professor Choi currently supervises more than 20 graduate students conducting research at the SeoulTech Power Electronics & Fuel Cell Power Conditioning Laboratory (PEFC). The laboratory has published 110 journals, 256 academic papers, and 24 domestic and international patents. To this date, more than 60 master's and doctoral students from the laboratory have graduated. Graduates are active in various enterprises including corporations such as LG and Samsung, government-funded research institutes, and venture start-ups. Previously, Professor Choi was awarded the Grand Prize at the 2003 Future Energy Challenge hosted by the US Department of Energy. He has also won an IEEE research award, various awards from the Power Electronics Academic Society, and a commendation from the Minister of Knowledge and Economy in 2012.